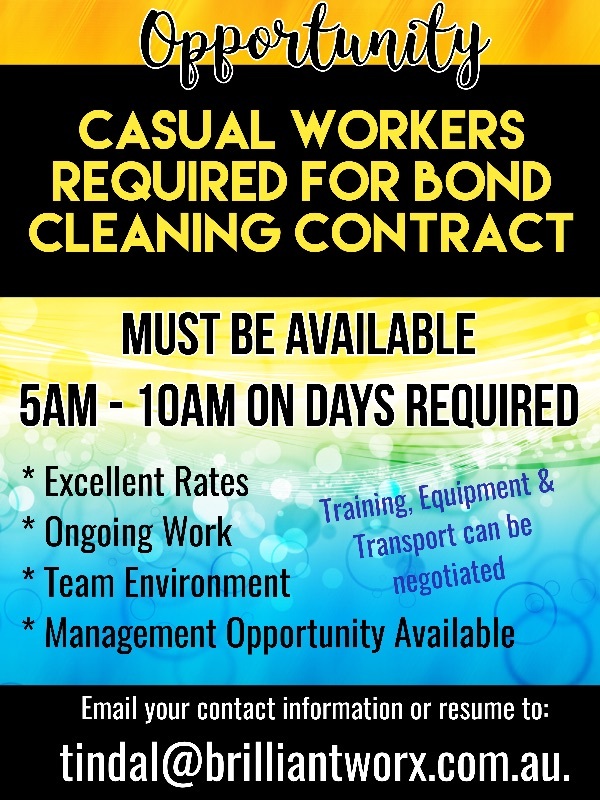 Casual Cleaners Required for Bond Cleaning Contract Work. Immediate Start. Training, Equipment & Transport can be Negotiated!